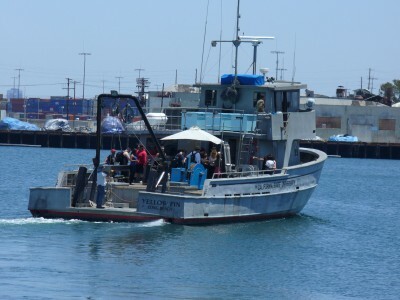 The R/V Yellowfin is often used for university and college marine science field trips and research cruises. 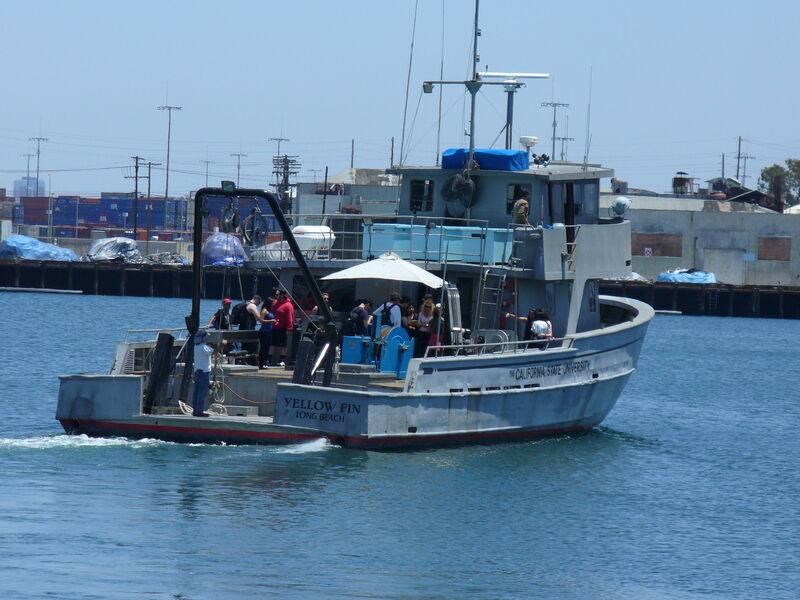 To view possible cruise stations and learn more about the instruments that are available for use, please visit R/V Yellowfin Cruises. If you are a professor hoping to plan a cruise for your students, please also see the Planning Your Trip page. Engines Twin 405 HP (QSL9 Cummins) 720S.H.P. Water Makes 600 gallons/day. 360 gallon storage. 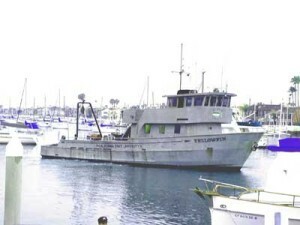 The YELLOWFIN was built as a longline and bait boat and was modified for oceanographic research by the Ocean Studies Institute in 1987 . This vessel is all aluminum, transom stern, twin diesel with a semiplaning hull. The main deck has a galley and dining with seating for ten, a wet lab with computer, captain’s quarters, and deck access head. Below deck there is one head and two staterooms, with showers supplying berthing for ten crew and scientists. Aft there are two ten ton insulated holds that provide additional storage space for live animal transport, ice/gen storage as needed. HYDROGRAPHIC WINCH starboard midship with 1,500 meters 5/16″ wire rope; lift capacity 500 lbs at mid drum. One additional spool of 330 meters of 8 conductor 3/8″ electromechanical cable. ARTICULATING CRANE starboard mid ship; maximum lifting capacity 1,000 lbs. MAIN DRAG WINCH aft on main deck with 5,000 meters of 7/16″ torque balanced galvanized wire rope; lift capacity of 5,000 lbs at mid drum. STERN ‘A’ FRAME maximum lifting capacity 2,500 lbs.